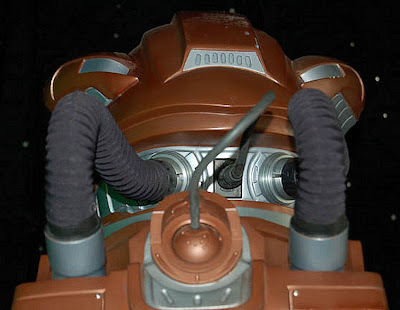 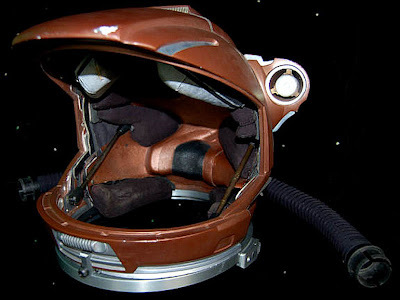 A costume featured in various episodes of Star Trek: Enterprise for wear by Anthony Montgomery in his portrayal of "Travis Mayweather" when on away missions off the "Enterprise NX-01". 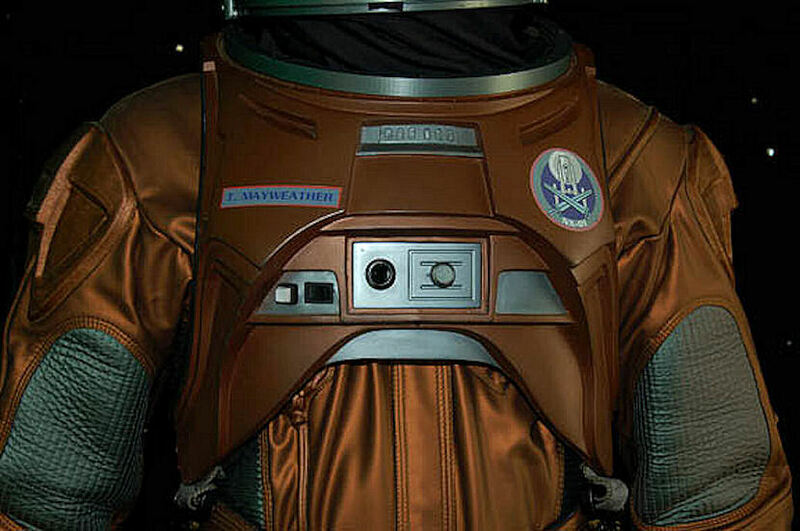 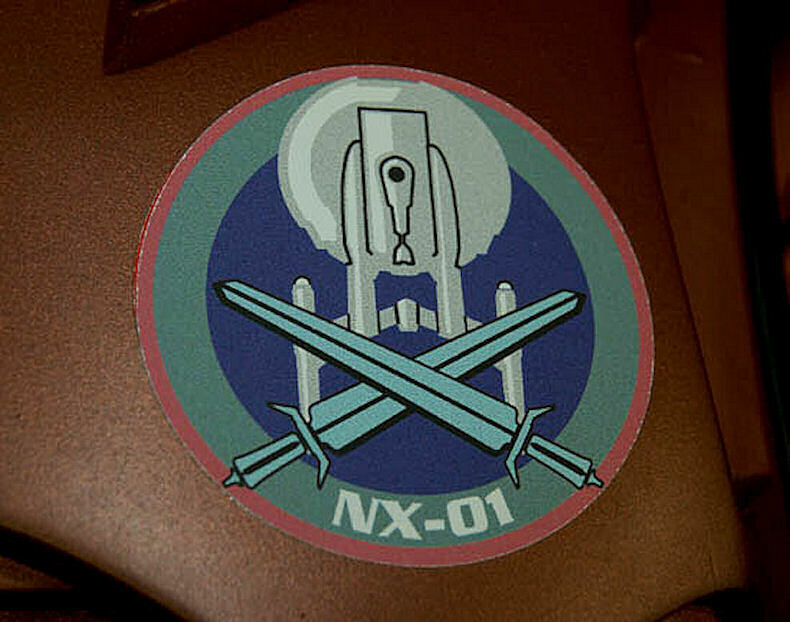 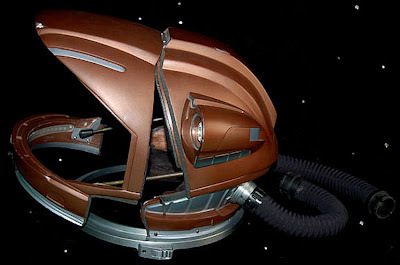 The costume appeared in the episodes "In a Mirror, Darkly, Parts I and II" when Sergeant Mayweather was part of the mission to hijak the Starship Defiant from the Tholians in the Mirror Universe and thus, the chest plate is marked accordingly with an application reading "T. Mayweather" and another that is the assignment logo of the "ISS Enterprise NX-01". The costume is metallic copper colored with gray accents on the inner arms and legs with sewn in molded details that appear raised. 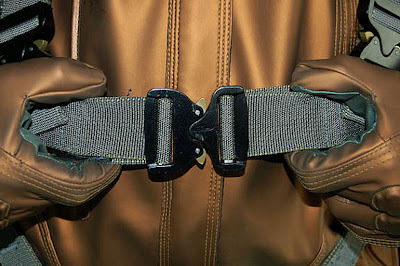 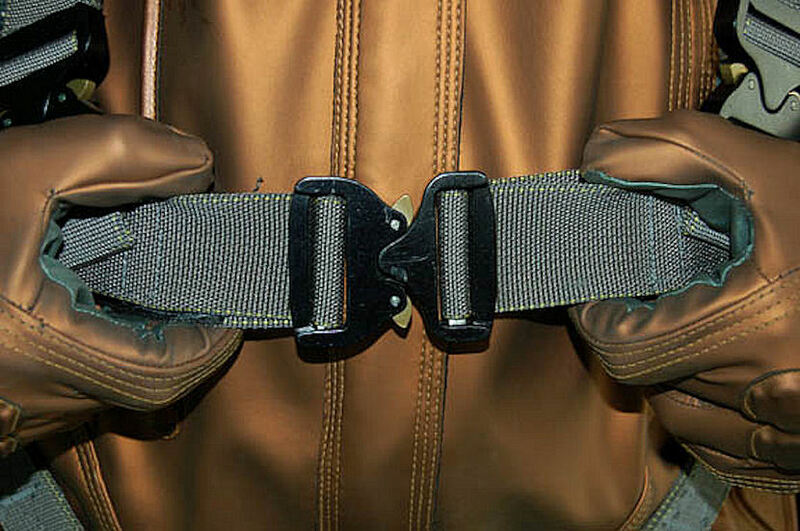 The jumpsuit has a front and rear zip centered up the chest and back and the gloves are removable by zipper just under the elbow with a Velcro cinch at the wrist. 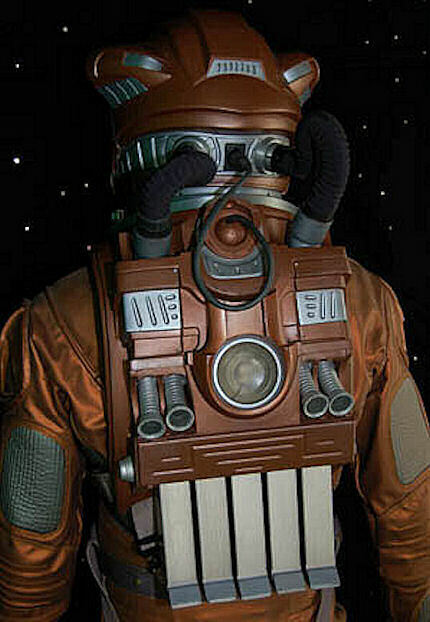 The costume comes with a brace that is belted together at the waist and under the legs and features Velcro placements for attaching the chest-backpack piece. 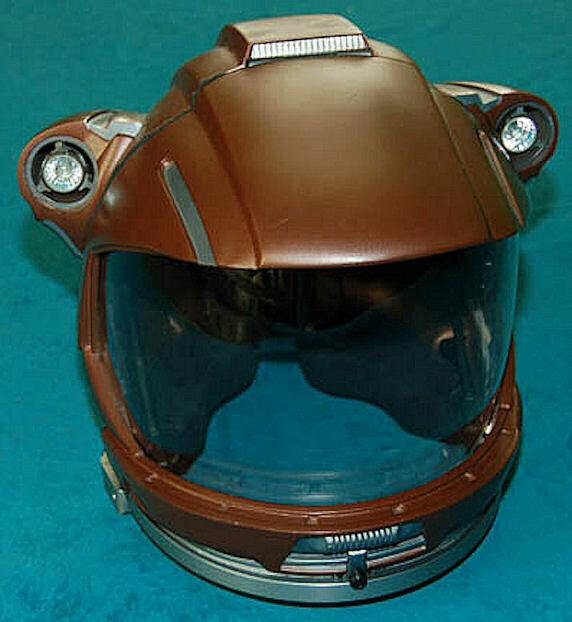 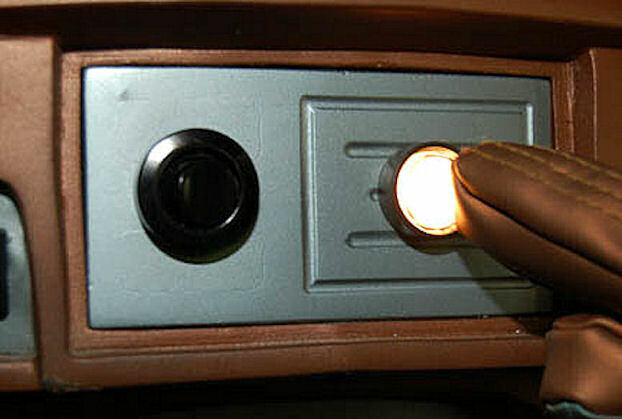 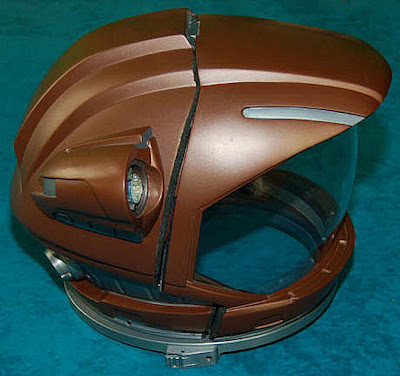 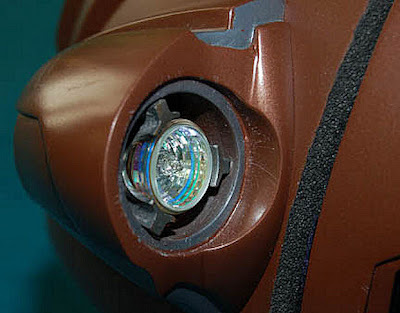 The pack is padded and features two rings around the neck for the attachment of the matching helmet and houses placements for up to five specially molded battery casings made to power lights on the chest, fans, and the lights on the helmet (some elements of the electronics are untested). The helmet features untested internal lights to illuminate the wearer's face on screen and bulbs on either side of the head and connects to the pack through an electrical junction and two tubes for fan air movement. 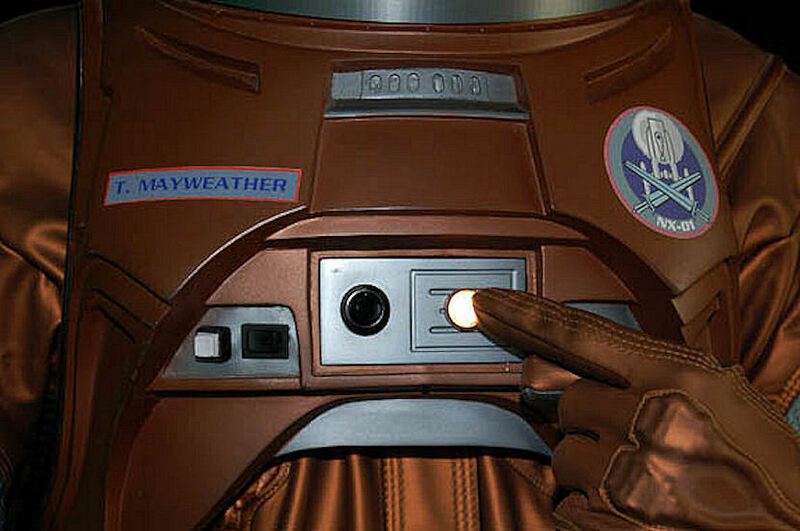 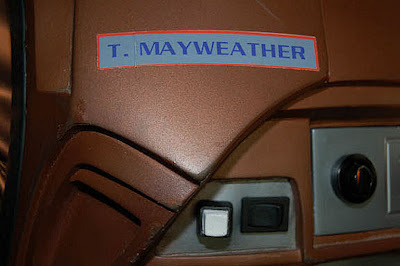 The components feature labels inscribed 'Anthony' and the costumer's tag reads "Mayweather" Anthony Montgomery, ENTERPRISE, EV SUIT". Also included is the gray EV under suit made for wear by Anthony Montgomery. 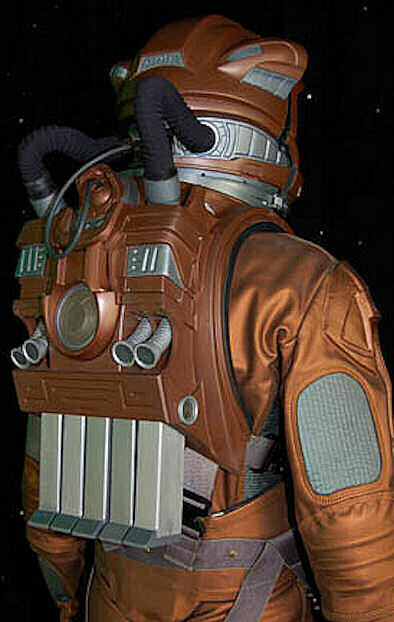 The costume is a jumpsuit with multiple lines of piping on the inner arms and legs. 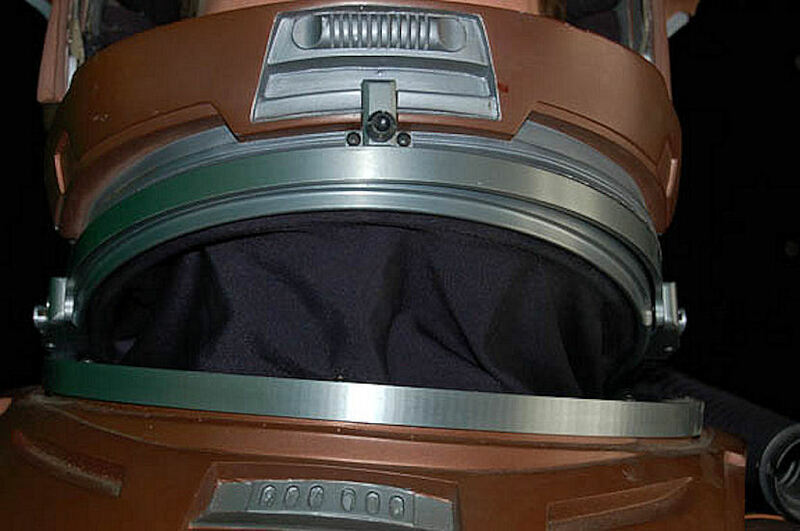 The costume zips up the front and has attached feet. The costumer's tag reads 'Mayweather, Anthony Montgomery, EV Undersuit'. 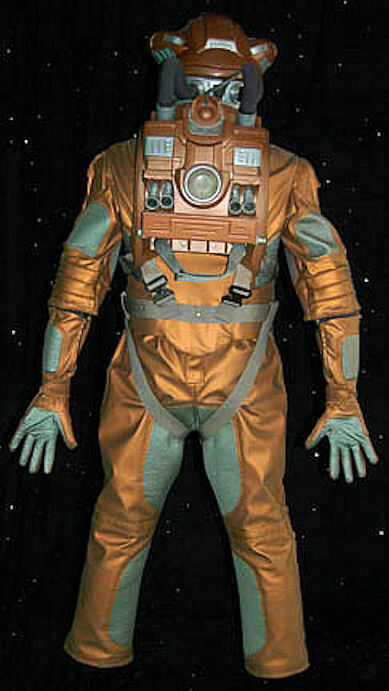 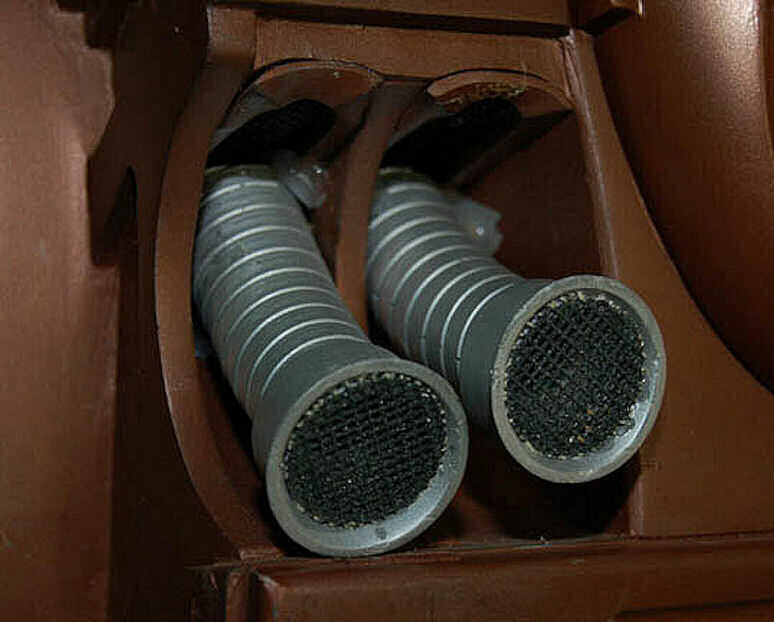 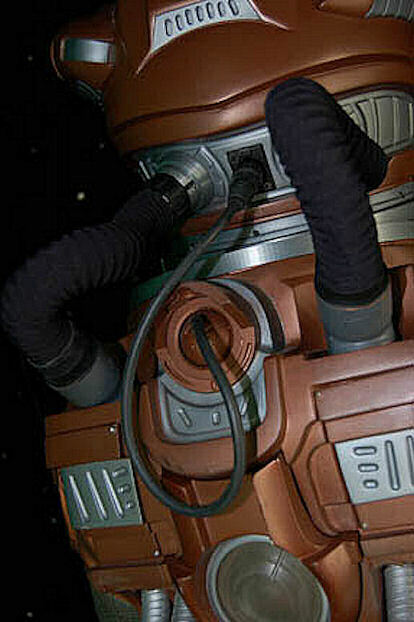 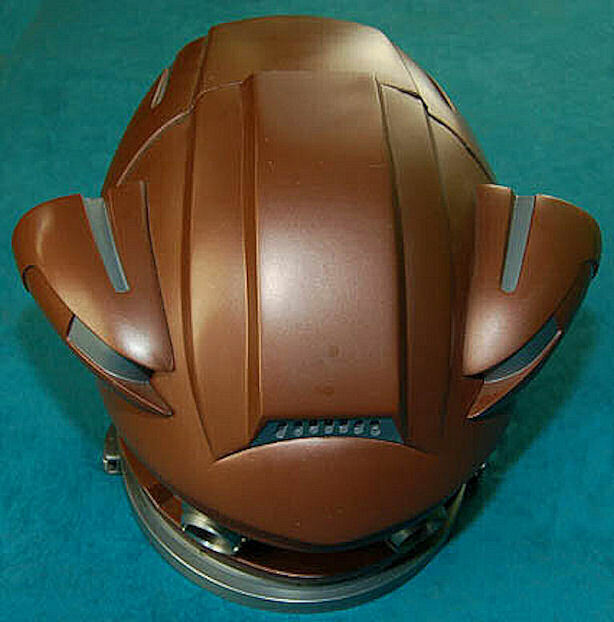 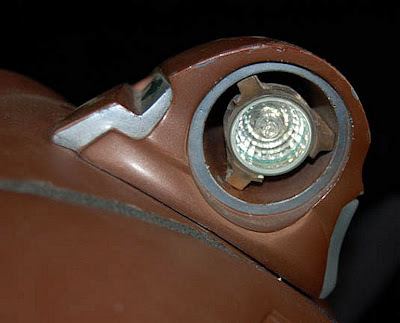 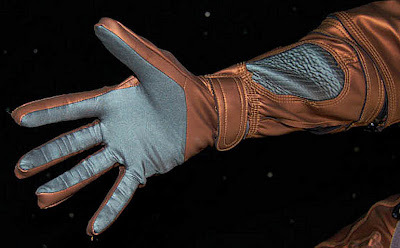 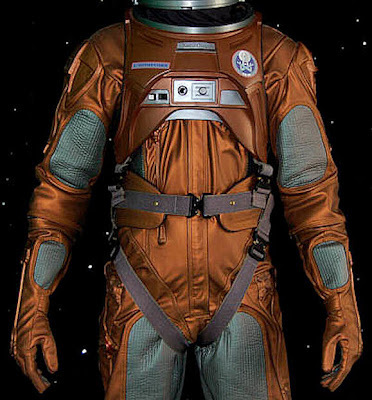 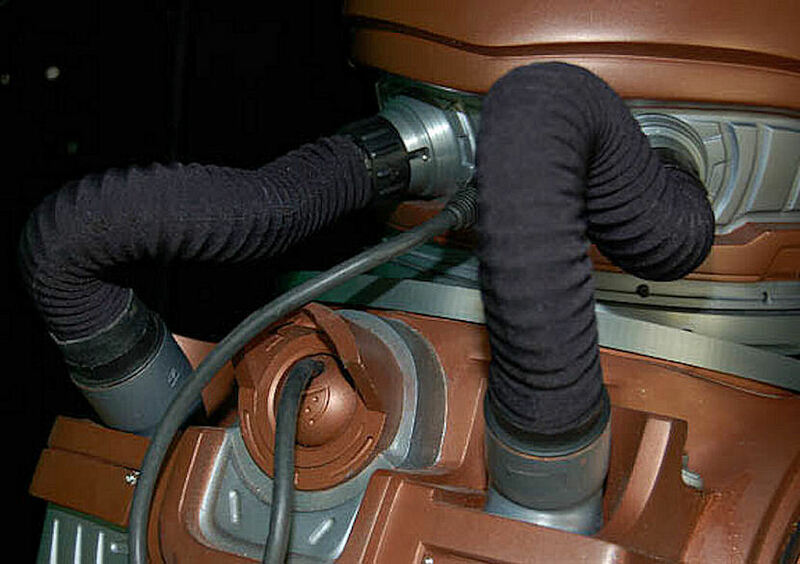 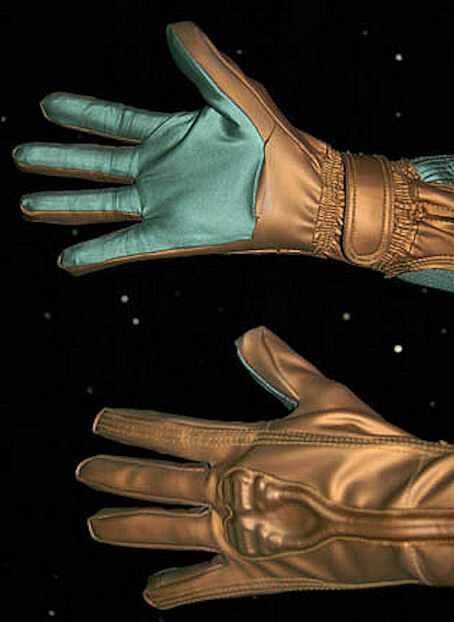 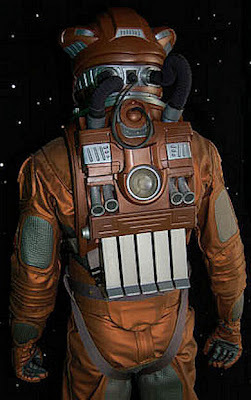 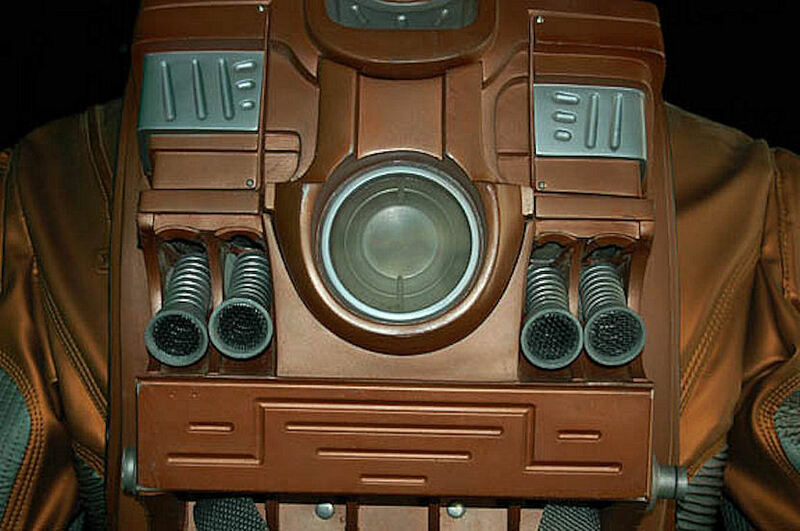 The EV suit comes with its corresponding space boots which, due to time or storage conditions have begun to breakdown, possibly due to elements involved in their make-up. 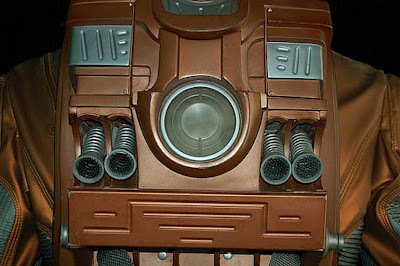 Lastly, the batteries for the pack are included, five in all, with corresponding connectivity colors, and five battery chargers which plug into standard American wall outlets.